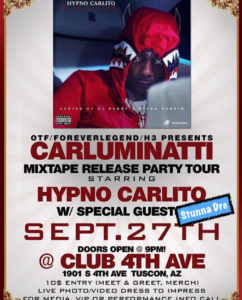 Catch Chicago’s own Stunna Dre & OTF’s Hypno Carlito perform at Club 4th Avenue in Arizona! Stunna Dre is a Hip Hop artist from the rough streets of West Chicago. Growing up in the Henry Horner projects, Dre witnessed his mother work multiple jobs to earn income, while his father faced drug chargers. Living check to check was never Dre’s style and turned to the street life to fund his dreams of a fast lifestyle. Music has always been second nature to Dre since the age of 10 as he recalls being recognized on Fox News for his lyrical abilities. Dre is made for the music business and hopes to bring his “Trap Lives Matter” movement to fruition. 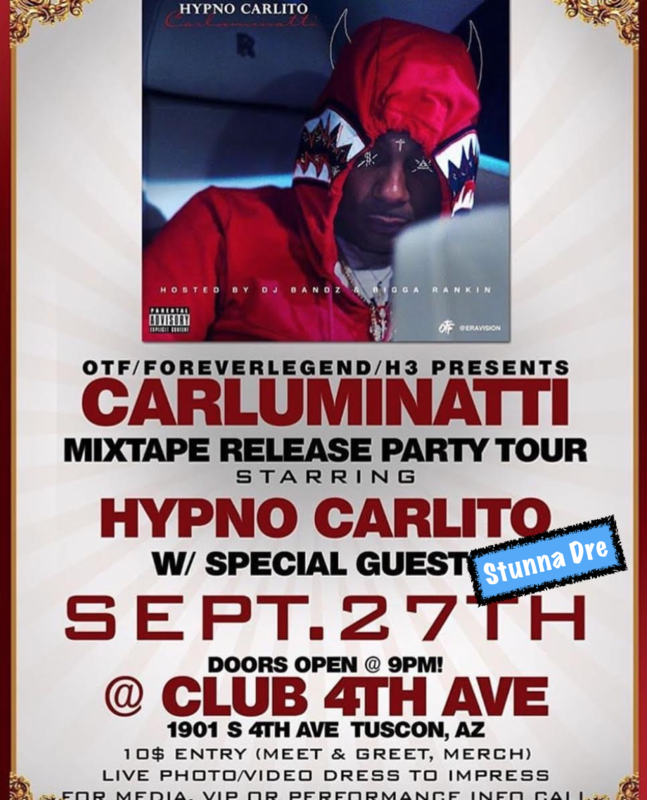 He currently has 2 singles in which he is pushing in the streets and online called “Ric Flair” which has received over a millions views via Worldstar and “Big Business” featuring Lil Durk OTF signee, Hypno Carlito. Keep me up the movement via social media.